Providing you the best range of instant lemon tea premix, masala flavour instant tea premix, masala tea premix, lemon tea premix, lemon flavour tea premix and elaichi tea premix with effective & timely delivery. Our unique product Lemon Tea Premix is an infusion of lemon juice, ginger root and tea leaves. The pleasant citrus scent of lemon combined with the pepper-spice scent of ginger provides a relaxing concoction to pamper your senses and recharge your spirits. It has an amazing taste of lemon with a little spicy touch of ginger which is enough to make you feel fresh and alive. A must try product to have in your kitchen! This product contains as below ingredients. 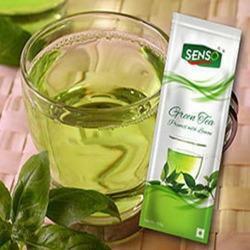 We are one of the leading manufacturer and supplier of Lemon Tea Premix. Our array of premixes also comprises of Lemon Tea Premix that is manufactured using wholly natural tea dust also known as iced tea. It is specially brewed for tea drinkers who are highly concerned about their health. Lemon tea makes for a great drink and it can be best served hot on a freezing day, or it can be made for the perfect ice - cooled drink to beat the heat. 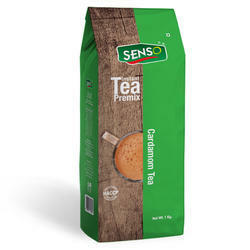 This Instant premix with cardmom flavor is ideal for diabetic patients and other who likes to have tea without sugar. 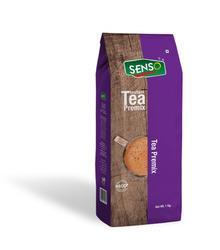 The rich flavor of "Cardmom" in this tea premix will make your tea more refreshing and tastier. The real taste of ginger tea premix which contain ginger, protein, vitamin,calcium and many other ingredients. 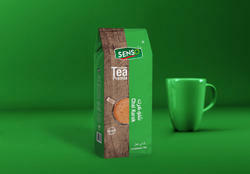 We are counted amongst the most prominent firm of Cardamom Tea Premix that is offered in numerous packaging options to meet the demands of our patrons. Our proficient professionals process this product using sophisticated technique at our ultra-modern production unit. Due to its features like fresh, best aroma and tempting taste, these are widely used in homes, hotels and restaurants. Good energizer for your body and mind, our masala tea concoction is guaranteed to awaken you from your boredom. Masala 'chai' is the most prominent drink of India. Various spices like cardamom, ginger, clove and many secret spices make this tea a special one for every tea lover. Adding cocoa to coffee is a classic flavour combination that is 'Mocha'. It provides benefits of chocolate without sugar or fat. Already a very popular drink with the hip-hop restaurant going youngsters, it's slowly catching up with households too. 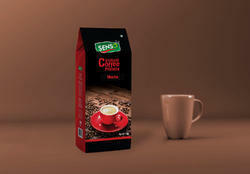 Try our new mocha coffee premix and enjoy the exotic tastes of chicory. Give it a try and we are sure you will be addicted! Elaichi is one spice known for its very pleasant aroma and amazing taste. The scent of these exotic spices makes tea drinking an enjoyable experience. 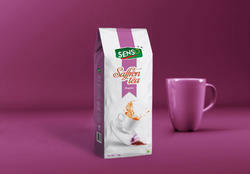 We have chosen this flavour for its pure demand and popularity among large tea drinkers around the country. A simple relaxing drink for your soul, Plain tea is for the normal tea drinker who enjoys the plain old taste of natural tea every morning and evening. Assam tea is the main ingredient and its light and aromatic at the same time. Come and enjoy our Indian simple 'chai' in all its glory. Senso Lemon Tea Combined With Rich Health Benefits Has A Great Aromatic And Stress. 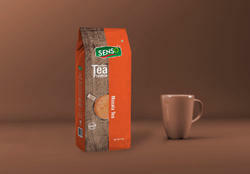 It Is Specially Brewed For Tea Drinkers Who Are Highly Concerned About Their Health. This Refreshing Tea With Soothing Lemon Aroma Is Enough To Keep Your Whole Day Fresh And Active. Try Out Our Healthy Lemon Tea Premix And Get Energized Instantly. A good energizer for your body and mind, our masala tea concoction is guaranteed to awaken you from your boredom. Masala 'chai' is the most prominent drink of India. Various spices like cardamom, ginger, clove and many secret spices make this tea a special one for every tea lover. Senso green tea is healthiest beverages as it is loaded with antioxidant and nutrients that have powerful effects on the body. also it is good short term replacement of water. Which good for health that contain cardamom, protein,vitamin and calcium. For instant tea you can make in few minutes.